Ever wonder what the difference is between an FHA vs VA loan? As a potential homeowner you have many options and choices to make. What realtor do I go with? Do I get pre-qualified before I find the house or after? Do I put cash down? Do I do a 30 or 15-year mortgage? Do I do a fixed rate or adjustable? Whew, exhausting and those are just some of the decisions you will make while you are considering buying a home. For Veterans there is one more choice to make; Do I use my VA benefits? I’m sure most of you are thinking quietly to yourself, why wouldn’t I use my VA benefits? What if I told you that thousands of Veterans don’t know that they have VA mortgage benefits? Now, what if I told you that those same Veterans ended up with a loan other than VA? 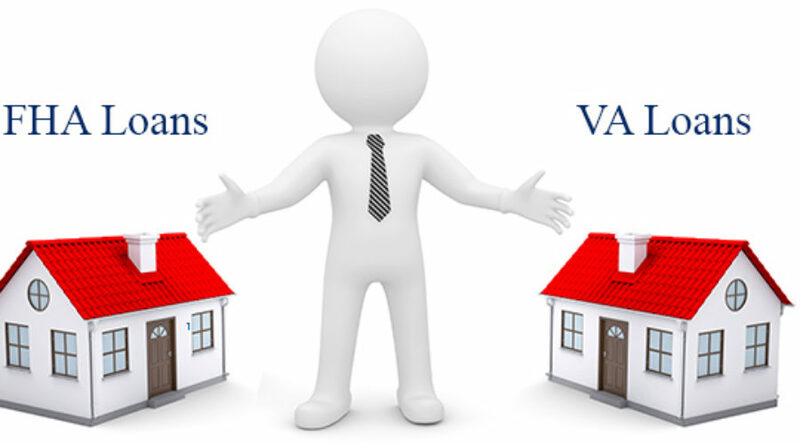 Below I will show the difference between a VA loan and an FHA loan which is the most common mortgage loan given. We are going to compare 2 loan types, FHA and VA. We are going to look at the main 2 aspects you would expect to deal with as a homeowner. We are going to use a 250,000 purchase price for both loans and let you decide which is better. As you can see you will save thousands of dollars, not only in out of pocket expenses but also in monthly payment and accrued interest. Why would a Veteran ever choose another loan? The answer is, they wouldn’t! Unfortunately, these Veterans didn’t have the information they needed to make an informed decision and it ended up costing them thousands of dollars. Now let’s take a look at the difference from an FHA refinance and a VA refinance. This is an example of a loan that our affiliate bank is currently doing for a Veteran. When I did the comparison, I was shocked at the results. Above is an example of a typical cash out FHA refinance. As you can see the borrower would get a nice check at closing and of course wouldn’t come out of pocket with any money for closing costs. The number I want you to really pay attention to, other than the cash to borrower, is the monthly mortgage payment. $208.48 of your mortgage payment is going directly to FHA to cover any defaults that may happen. Remember this is insurance, in case something happens it gets used but if nothing happens you are out that money. Now let’s compare that to a VA cash out refinance. As you can see as a Veteran you have access to 100% of your equity. That opens the door for $64,500 extra cash to you for less than $40 per month in monthly payment. Again, why would anyone with VA benefits not use them? So, what would you do with your equity? Pay off debt? Get rid of credit cards? Pay off your car? Buy a car? Jump start your 401k? College fund for your kids? The options are endless and with your VA benefits you have all of the options available to you. How can you put your equity to work? As you can see there isn’t a reason for anyone that has VA benefits not to use them. The only reason Veterans don’t use them is they do NOT have the information they need to make an educated decision. When you are dealing with a large decision like this you want to work with a professional that can lay out all of your options and knows the difference between the two. Let Professional people do Professional work!